Sleeper hit web-series, The Death Notice: The Darker 暗黑者, adds refreshing humor to a traditionally somber genre, and instead of restricting itself to the usual themes of revolutionary spies, drug wars, and efforts against localized corruption, the show actually challenges a number of social norms and stigmas, something new for c-dramas. The Death Notice is best described as a crime thriller comedy. 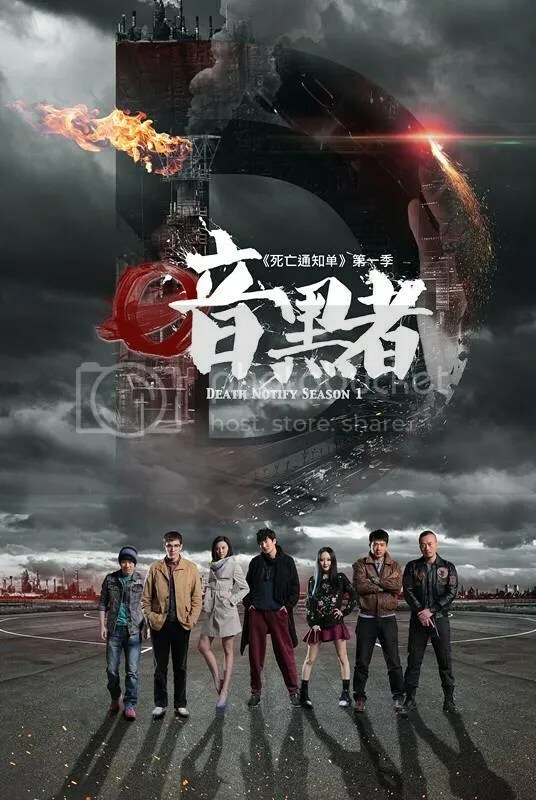 Season 1 based off the first book in Zhou Haohui’s Death Notice trilogy, which follows the main character, Luo Fei 罗飞 (played by the brilliant Guo Jingfei 郭京飞 of “Longmen Express 龙门镖局”), an idiosyncratic police academy professor with a hidden past, as he joins a team of misfits to discover and capture the mysterious killer, Darker, a vigilante who targets criminals that have otherwise escaped legal punishment. The show begins with a string of mysterious deaths where the only clue is a note announcing the victim’s death sentence by the executioner, Darker. The notices are never wrong. The series of deaths forces the police to form a special task force, resulting in a team of unique personalities, including the humorless team captain, the gothic coroner, the imposing psychologist, the carefree IT genius, the nerdy police academy failure, the tough SWAT fighter with a giant soft spot for dogs, and of course, our main character, Luo Fei. An unconventional hero, Luo Fei perpetually sports a pair of old-fashioned linen flats, dark red sweatpants, and a tattered black robe. He loves to drink yogurt because it is “good for his skin”, has a plastic bag for a wallet, and talks to his fashionista alter ego, but he also happens to be a genius detective who may be the key to unlocking Darker’s identity, unveiling secrets that had lain dormant for 13 years. My grandpa has a pair just like them. At least his alter ego has a bigger wardrobe. 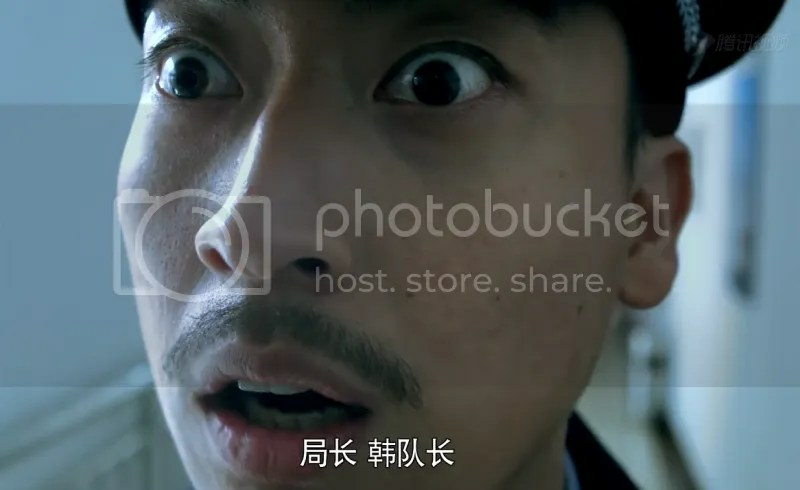 This type of quirky humor reminiscent of Guo’s previous work, Longmen Express, continues for the majority of the show and brings refreshing lightness to an otherwise weighty story. The show also features great side characters, including the clueless captain of the competing team, Luo Fei’s incisive investment banker friend, the meddling journalist who ends up questioning the morality of her professional endeavors, and of course, our mysterious anti-hero, Darker. While always trying to steal cases from our heroes, Team 2 captain proves himself to be a loyal friend. What makes the show special though is its fearless attitude in addressing a number of social issues, such as homosexuality, corruption, child and elder abuse, journalistic integrity, and mental illness. Due to its format as a web-series, the show was able to explore different perspectives on taboo subjects in Chinese society. Though the show is far from tearing through social boundaries and revolutionizing Chinese entertainment, it provides an encouraging start. 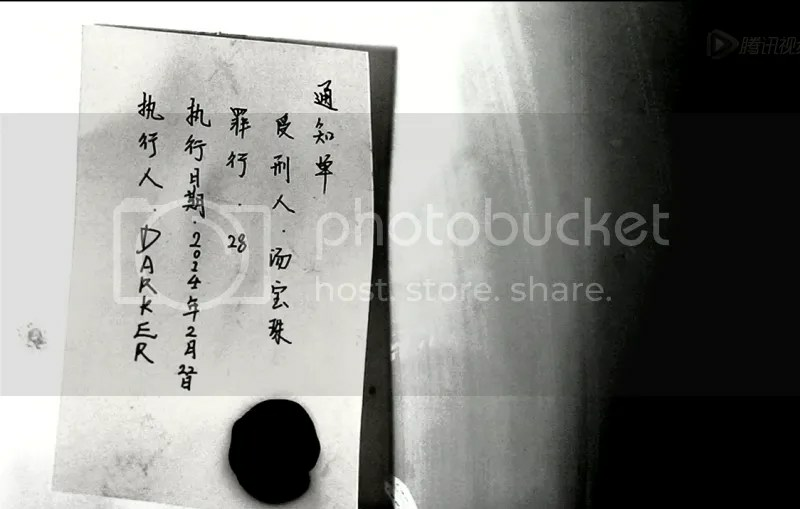 I’m reminded of an older drama, the Snail Home 蜗居, that approached previously sanitized topics of infidelity, corruption, and the crippling housing market with remarkable honesty and insight. The show also challenges the viewer on the enduring question of law vs. morality in our anti-hero, Darker. Here is a fan-made trailer with English subtitles. You can watch the series here in HD. English subtitles are available here until episode 6. In addition to the always great Guo Jingfei, the ensemble cast brings back many familiar faces from Longmen Express, including Gan Lu and Li Qian in main roles, and Qian Fang and Yang Haoyu in cameos. On an interesting note, the series is directed by Zhou Linhao 周琳皓, who also happens to be Qian Fang’s husband. The drama slows down and departs almost entirely from the book during the middle segment, so if you are interested in only the main narrative and the identity of Darker, then I would watch from episode 1 to 14, then skip to episode 37 onwards. The show is modeled after the format of American shows, where each individual case spans two episodes, and yet, the larger narrative of Darker’s identity is stringed together throughout, with some minor love lines thrown in. Guo Jingfei’s wife in real life and Bao Lei’s sister, Bao Li, also makes a cameo as Luo Fei’s first love. This entry was posted in Drama, Mainland China and tagged Death Notify: The Darker, Guo Jingfei, Li Qian, The Death Notice by lulupony. Bookmark the permalink. Hi, I worked on the English translation of this novel as a matter of fact. I know this is an old post, but can you see if there are any updated links to the videos? Thanks! I’m wondering. I can’t seem to find any reviews of this series, esp, where it pertains to ‘Romance’..Does this series even have a PAIRING of any sort..I esp want to know of any romantic pairing where it comes to Li Qian character.. Please just reply in response to my ? here.. Thank you for sharing!! I’m hook too! I hope Li Qian keeps subbing!! After reading this post I started watching the show and I’m hooked!! =D Thanks so much for introducing such a great show! I don’t know how I would have heard of it otherwise. I’m really glad you like it. =D This little show deserves more love. At last! I love crime dramas in any language. So few ever get some subtitles. I’ll definetly check this out. I was surprised to see the subs too. They are made by Li Qian’s fan group, and they are pretty good. Thanks! ^_^ Glad to be here. This is lulupony’s first post! I’ve been secretly hoping she would want to write after reading her comments, and was really excited to get an e-mail from her expressing interest. She’s been into cpop way longer than most of the staff (including me) , so please look forward to more of her nuanced pieces on under-covered areas of Chinese entertainment! Anyways, this is a good drama and I definitely recommend it if you’ve been wanting some Chinese hardboiled crime noir. Season 2 is also in the works with Lu Yi confirmed to join! On a side note, I hope Bao Li has a kid soon so Guo Jingfei can go on Dad! Where are we going? Aww. Thanks for the warm welcome guys. I have been secretly want to write too after discovering this blog, but never mustered up to it. I wonder who Lu Yi is going to play? Book 2/season 2 was my favorite of the trilogy, but they made a significant change to the role of Darker in season 1, so I wonder how they are going to modify the book in season 2. Guo would be amazing on Dad WAWG, but man, we’d have to wait until season 7 for them to be casted.